quand il touche les choses. когда он прикасается до вещей. Anna Gual (Vilafranca del Penedès, 1986) published her first book, Implosions (LaBreu Edicions, 2008) at the age of twenty-two after the publisher LaBreu Edicions discovered her in a secret blog No caic, em tiro (I’m Not Falling, I’m Throwing Myself) she had been writing for two years. This won the 2012 Prize for the Best Blog Written in Catalan. In 2012, she published a collection of poems Passa’m-hi els dits (Run Your Fingers through Me – Átem Books, 2012) illustrated by the Austrian artist Bianca Tschaikner and, a year later, received the Pare Colom Prize for Mediterranean Poetry for her book L’ésser solar (The Solar Being – Lleonard Muntaner, 2013). 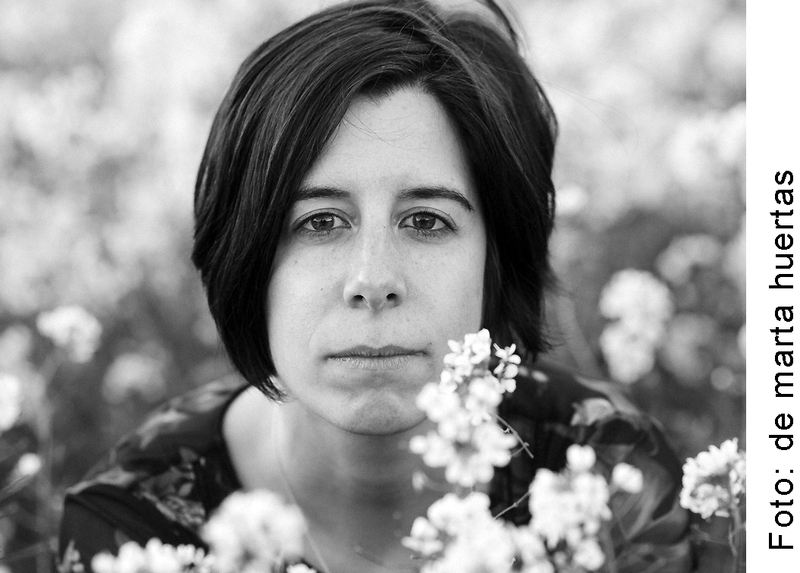 Seeking to probe the limits of language, Gual published her third collection of poems Símbol 47 (Symbol 47 – LaBreu Edicions, 2015) and, in 2016, won two prestigious awards, the Bernat Vidal i Tomàs Prize for her book Molsa (Moss – AdiA Edicions, 2016) and the Senyoriu Ausiàs March Prize for El Tubercle (The Tubercle – Editorial 3i4, 2016), the latter two books comprising the first two parts of the trilogy Arrel Trinitat (Trinity Root), which will conclude with Altres semidéus (Other Demigods). Her poetry has revealed her as one of the freshest and most ground-breaking voices in present-day Catalan literature. For some time now, she has enjoyed reciting her poems in public and gives readings at different events to which she is invited around Catalonia. She has also taken part in international festivals, writers’ gatherings and poetry translating seminars in Croatia (University of Zadar, University of Zagreb and the Croatian PEN Club Centre), Sardinia (Festival Cabudanne de sos poetas in 2014, and Festival Sulla Terra Leggeri in 2016), England (Cambridge Union Society), and Russia (Poetry Translation Seminar, organised by the Institution of Catalan Letters and the Perevoda Institute). Her poetry has been translated into English, French, Spanish, Galician, Russian, Croatian, Portuguese and Italian. Anna Gual combines writing with her profession as Director of Communications and Marketing in the wine industry.